Nothing says classic ice cream flavor like vanilla. It goes with just about everything - brownies, pie, for ice cream sandwiches, topped with fresh berries or just by itself. You really can't go wrong with vanilla and everyone should have a pint of this in there freezer for a quick dessert. Do you already have some in your freezer? Go run and check. Hurry, go! 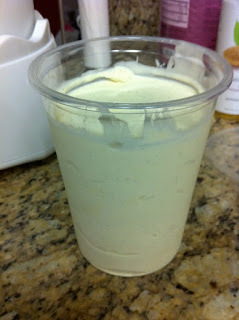 Making homemade ice cream is not as daunting as it seems. In fact, it's really easy. Although, once you start having homemade ice cream, you may not go back to buying it at the store (sorry Ben and Jerry's). Plus, the fun part of making your own is trying out new flavors and experimenting with what you like. You can add in fruit, chocolate, your favorite candies (chopped up of course) and even nuts. I bet you are already writing down all the flavor combinations you want to try, right? It's okay, you can admit it. I've already realized that this ice cream would be great with a peanut butter swirl and shaved chocolate and some salted peanuts. How good does that sound? I could so go for a scoop of that right now, it's so hot outside! There are two main types of ice cream - French style and traditional. French style is an egg yolk and custard base while traditional is simply milk and cream. Both are fabulous, but I seem to favor the French style. There is just something about having that custard base that makes it so much more creamy. If you are scared of cooking the custard base (or scrambling the eggs), don't be. You just have to cook it low and slow and just keep stirring. Even if you get a few lumps, not to worry. Just strain it. It's happened to me before and as long as you run it through a fine mesh strainer, you will be just fine. No one will ever know. Unless you tell them like I just did. Oops. Here is fun factoid - July is national ice cream month. Did you know that? I sure didn't. You don't have to wait until July to make this though. If you wait that long, I might hurt you. steeping the vanilla in the milk and cream mixture. can you see the bean peeking out? just keep stirring, just keep stirring! these containers are great for ice cream and you get 3/$1 at the dollar store! Pour the remaining cup of cream into a bowl and set a fine mesh sieve over the top. In a separate medium bowl, whisk the egg yolks until smooth. 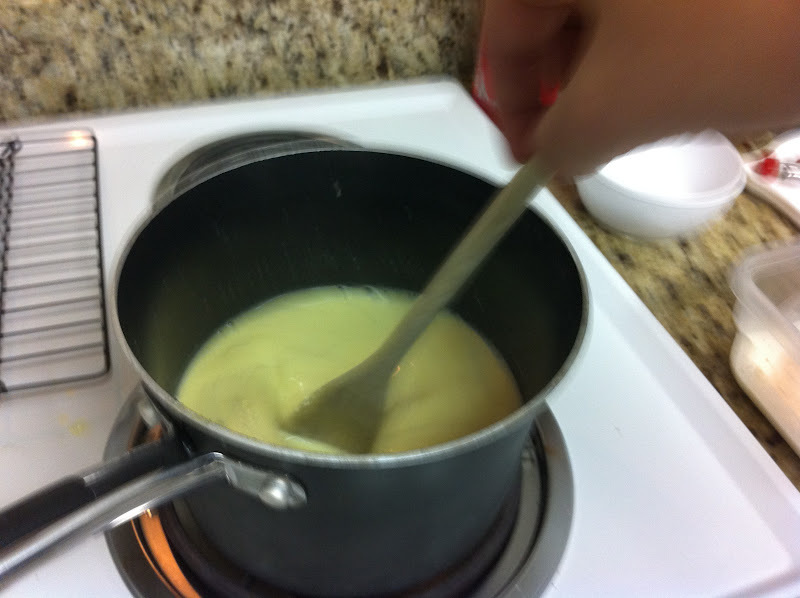 Slowly pour the warm milk mixture into the bowl with the egg yolks, whisking constantly. Return the entire mixture to the saucepan and place over medium heat. Cook, stirring constantly and scraping the bottom of the pan, until the mixture thickens slightly and coats the back of a spoon (about 170˚-175˚ F). 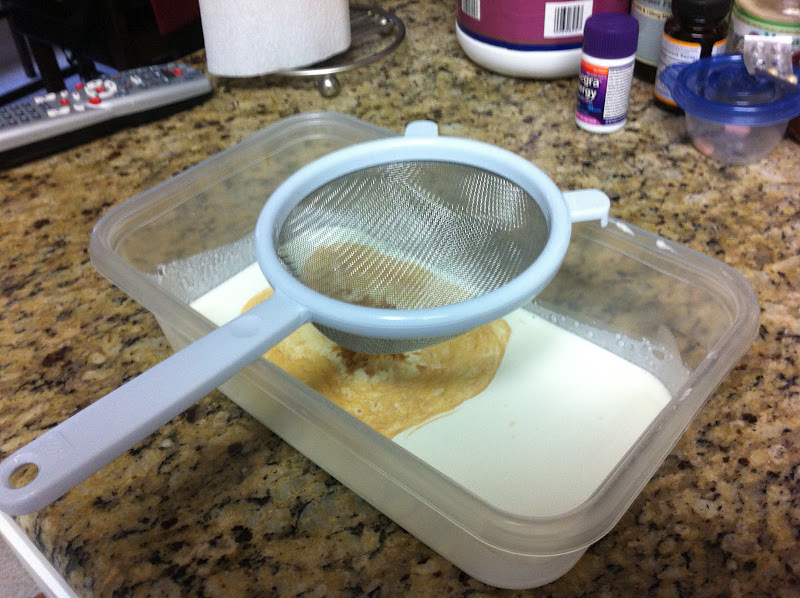 Pour the custard through the mesh strainer into the bowl with the cream. Stir in the vanilla. Let cool slightly, then cover and refrigerate until completely chilled. Remove the vanilla bean before churning. 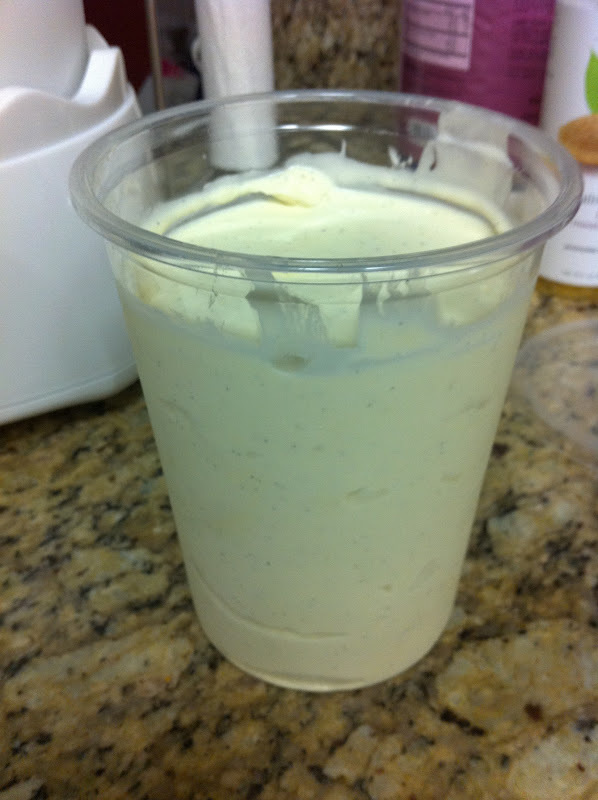 Freeze in an ice cream maker according to the manufacturer’s instructions (about 15-20 minutes or until firm). This ice cream is a great base for other flavors too. If you want to make a fruity ice cream, you can remove the vanilla bean (just use the extract) and then once the custard has cooled, add in your fruit puree. If you want to also fold in fruit, just make sure to do it after the ice cream is churned so you don't crush them all. Ta da, fresh ice cream!